Jelastic upgraded automated installation of the platform Light Edition on top of Google Cloud infrastructure available within Google Marketplace. The released package provides a possibility to install a private PaaS on top of several Google Cloud VMs across different zones in the region, as well as benefit from newly added features like built-in Let’s Encrypt SSL with automatic renewal, two-factor authentication and auto-clustering. “A wide set of Google Cloud infrastrastructure regions spread worldwide complements Jelastic PaaS freedom of choice philosophy. 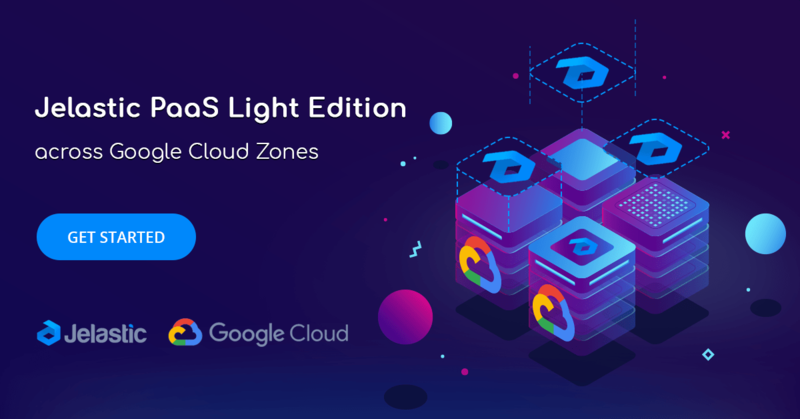 That’s why the newly released Light Edition is designed for scaling and easy clustering on infrastructure level across several availability zones,” says Ruslan Synytsky, Jelastic CEO. Jelastic Light Edition is automatically installed from Google Marketplace just in 15 minutes. The deployed cluster can be used as a private PaaS for development and production environments of ISVs and SMEs. The current release provides a possibility to add extra Google Cloud VM nodes from one or several availability zones of the region and grow the Jelastic cluster based on the increasing needs. The configuration of the connections between the added servers is automated by the platform. Explore the benefits of Jelastic Light Edition on top of Google Cloud infrastructure installing the cluster just in several clicks from the marketplace.